Make half your plate fruits and veggies—it’s easy to follow MyPlate guidelines when you include USA Pears in your meals! 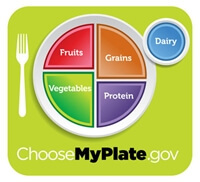 The MyPlate logo suggests that Americans fill half the plate with fruits and veggies at every meal. It’s easy to eat more produce whether you’re sitting down to a family dinner or taking your meal on the go. Pears can be added to quesadillas, smoothies, lunchboxes, and soups—think outside the plate! 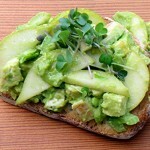 With 24% of the Daily Value of fiber and 10% of the Daily Value of vitamin C, pears are a smart choice. 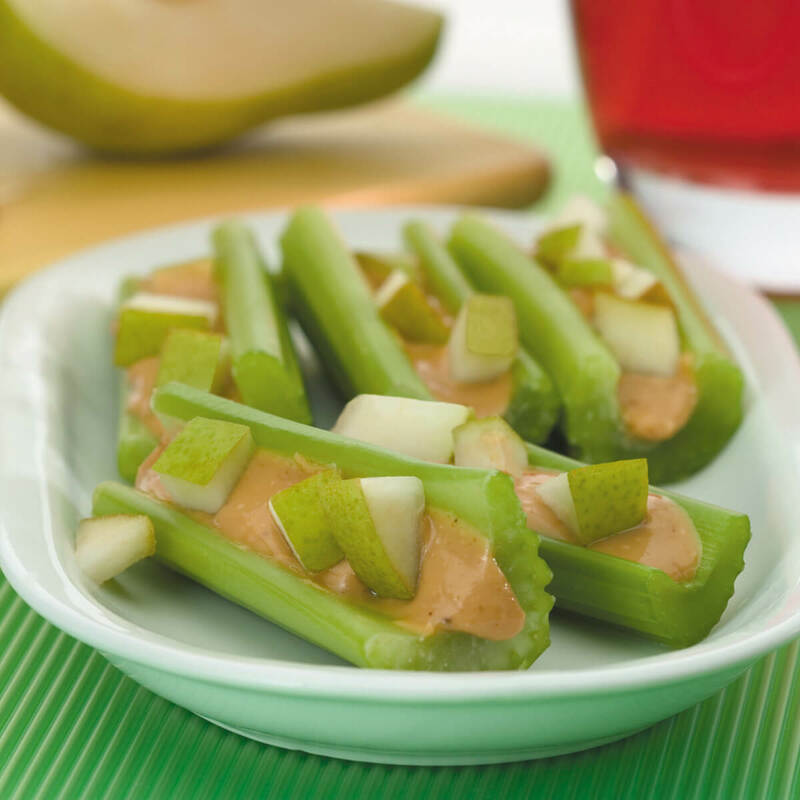 Not only do pears add a boost of nutrition to your favorite meals and recipes, they’re also versatile and available nearly year-round. 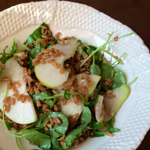 This whole-grain salad recipe uses plenty of bright, fresh ingredients for hits of flavor and texture, from the crunch of the farro to the juicy sweetness of the fresh pears. 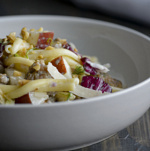 Firm-ripe USA Pears, sweet onion, ground turkey, and fresh thyme come together to make a quick and easy dinner. 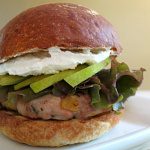 Creamy goat cheese and more pear slices top these fresh and light turkey burgers for a nice change of pace from a traditional beef burger. 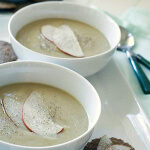 The sweet pear, salty sausage, wine and cream are a wonderful combination in this dish. It tastes just like something you’d get at a great restaurant. Chicken, pear and avocado pair together to create a beautiful and satisfying meal or snack. 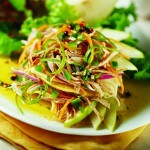 Check out our entire recipe library to find more MyPlate-friendly meal ideas!